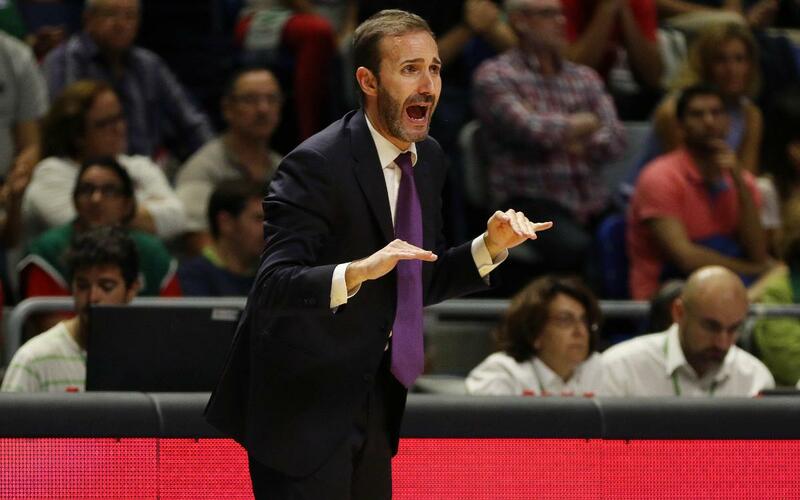 New Barça Lassa coach, Sito Alonso, has spoken about his immense pride on taking over the basketball team in an interview with the club's media. He describes the job as "as an incredible challenge, a huge satisfaction and motivation to arrive at a different and special club where I would like to achieve big things". “I arrive to help, in order to get the best results possible, and with a lot of ambiton. I am very motivated. We have to work hard to be successful”, Sito highlighted. “My philosophy is based on individual work in order to have the best collective possible. Individual work, personalised in the best way, brings the talent out of the player." Regarding young players, Sito Alonso said: “We look to work with the youngsters, not whether they play or not, which is not a secondary thing, but rather a primary matter; we want them to work, it is our absolute idea when we begin to work with them”. On possible arrivals, the coach stated: “We are working from the first moment, without excessive pressure, because pressure is not nice, but we do have a clear idea of what we are looking for”.